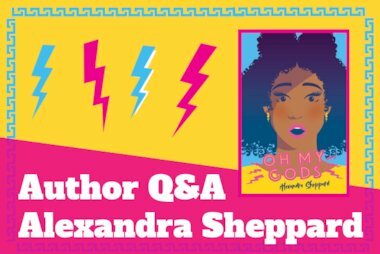 Welcome to the first in our brand new series of author Q&As! 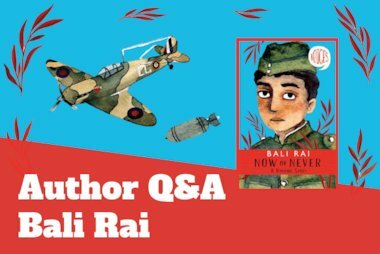 First up is Inbali Iserles, an award-winning writer and an irrepressible animal-lover. She is one of the team of authors behind the New York Times bestselling Survivors series, who write under the pseudonym Erin Hunter. 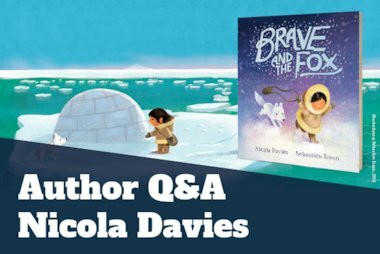 Her first book, The Tygrine Cat, won the 2008 Calderdale Children’s Book of the Year Award. 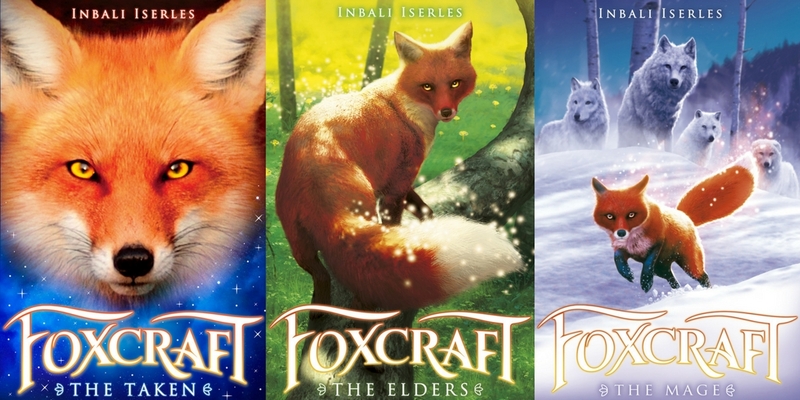 Inbali’s latest series, Foxcraft, has been published in 11 countries. Inbali lives in Cambridge with her family, including her principal writing mascot, Michi, who looks like an arctic fox and acts like a cat but is in fact a dog. What inspired/motivated you to write the Foxcraft series? When I lived in London, I used to watch urban foxes prowl around my local streets. I was intrigued by how these elegant animals appeared to materialise from nowhere – a flash of deep red pelt, a white tail tip – only to vanish into the night. I began to read about the fox’s role in folklore. Time and again, the fox was depicted as cunning, selfish and untrustworthy. I knew this beautiful animal was misunderstood and I wanted to tell her story. What would your foxcraft be and why? Foxcrafts are magical gifts of cunning known only to foxes. For instance, there’s karakking – being able to imitate the call of other animals and maa-sharm – the healing foxcraft. There’s even a special way of talking to someone through your minds, so that no one can overhear – that’s gerra-sharm. For me, it’s a toss-up between slimmering, a form of invisibility (think of the fun you could have!) and wa’akkir, the shapeshifting foxcraft. If I had to choose just one, it would probably be wa’akkir. I genuinely love all animals (yes: even snakes!). Unsurprisingly, I adore foxes – they are magical, beguiling creatures. I find wolves totally thrilling and was excited to include them in Foxcraft 3: The Mage. That said, I adore dogs (I have a sweet pooch called Michi) and cats will always hold a special place in my heart. Sorry, impossible to pick just one! On my first day at nursery in England I was four years old and I didn’t speak a word of English. I remember it vividly. I was terrified! Which book changed your life and why? Great Expectations by Charles Dickens. The story has everything – intrigue, surprises and unforgettable characters. It made me think about the world that Pip, the main character, lived in, and it also made me think about my own world and my place in it. Give us your top tip for aspiring authors. Write from the heart. You can (and should) work at perfecting the technical skill of writing – but passion is where the magic happens. A stand-up comedian or an artist. It never occurred to me that I could be a writer. If you could go back in time where would you go and why? To Ancient Egypt, to learn more about that incredible culture and their worship of the cat goddess, Bastet. I would also love to see Britain as it used to be, before human habitation saw cities conquer the wild spaces. Tell us the best piece of advice you’ve ever been given.